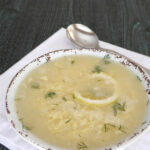 This Greek lemon soup is a wonderful blend of chicken, lemon, egg, and shirataki rice! 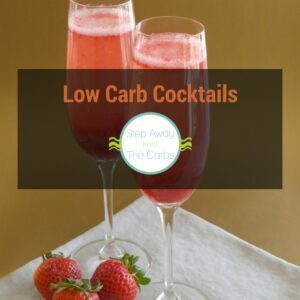 Low carb, keto, gluten free and dairy free recipe. 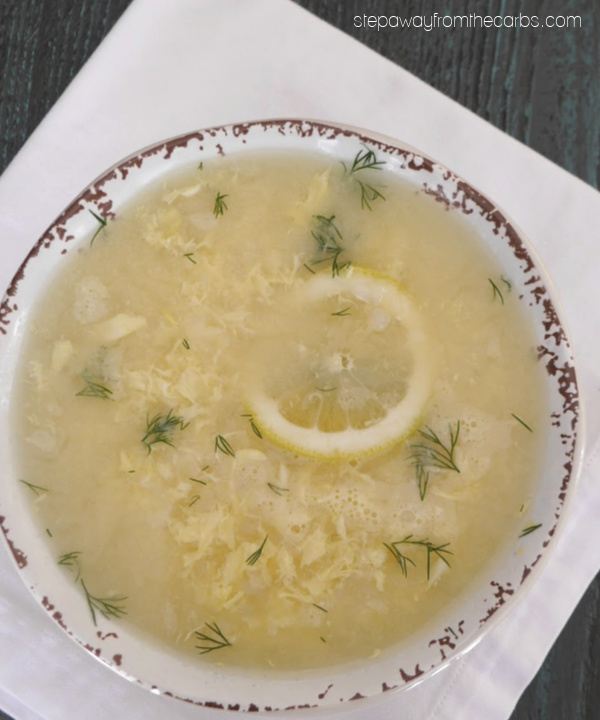 This classic Greek soup – also known as Avgolemono – is traditionally made with chicken, lemon, eggs, and rice. 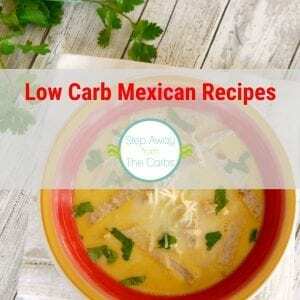 It’s surprisingly filling for a soup, and my low carb version is no different! I have substituted the regular rice for shirataki rice – you can read all about shirataki noodles and rice in my ultimate guide! Miracle Noodles is currently my favorite brand of shirataki rice, and you can get 10% off when you order from them direct! Use coupon code “AFF10” on checkout to get your discount! To make the soup, add some chicken broth to a large saucepan and add some chopped onion (I have a bag of frozen chopped onions in the freezer so that I can easily add small amounts – it’s really convenient!). Bring to the boil and simmer for 5 minutes. Meanwhile, drain the shirataki rice and rinse thoroughly. Crack two eggs into a small bowl or cup and beat to mix. 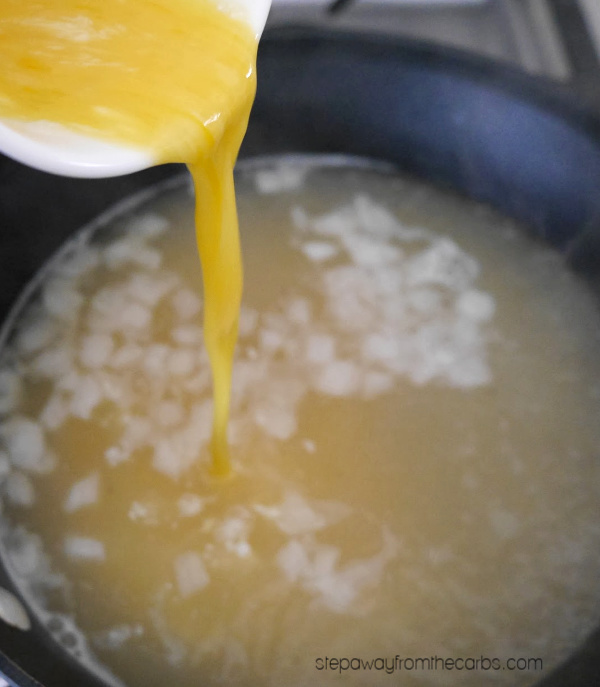 Take a large spoonful of the warm broth and add it to the eggs (tempering them). Quickly stir the broth into the eggs, then pour the mixture back into the saucepan of broth. Tempering stops the eggs from turning into scrambled eggs! 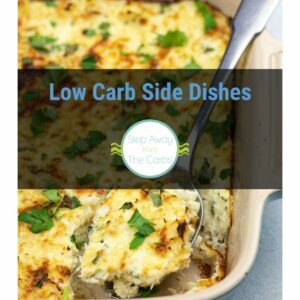 Note: You could also add some cooked shredded chicken to the soup if you wanted to make it even more filling! Add some lemon juice to the soup, and taste for seasoning. Add salt and pepper as necessary (quantities will depend on the broth that you use). 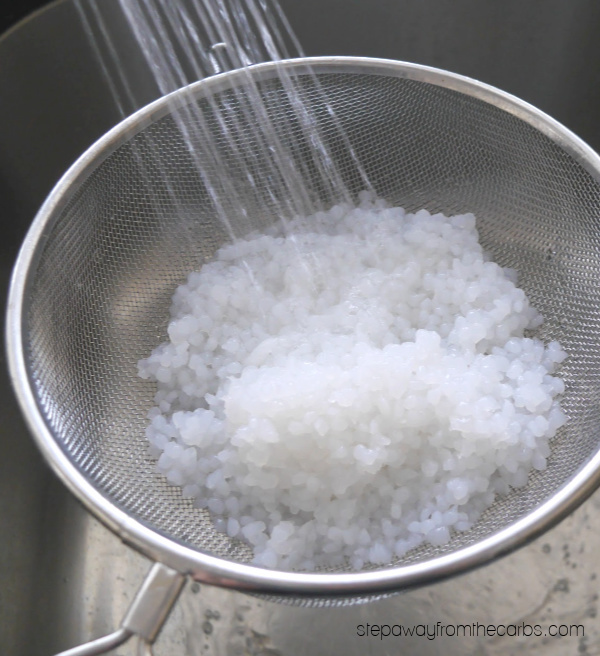 Add the rinsed shirataki rice to the soup, and cook for two minutes. Transfer into serving bowls and garnish with fresh dill leaves. 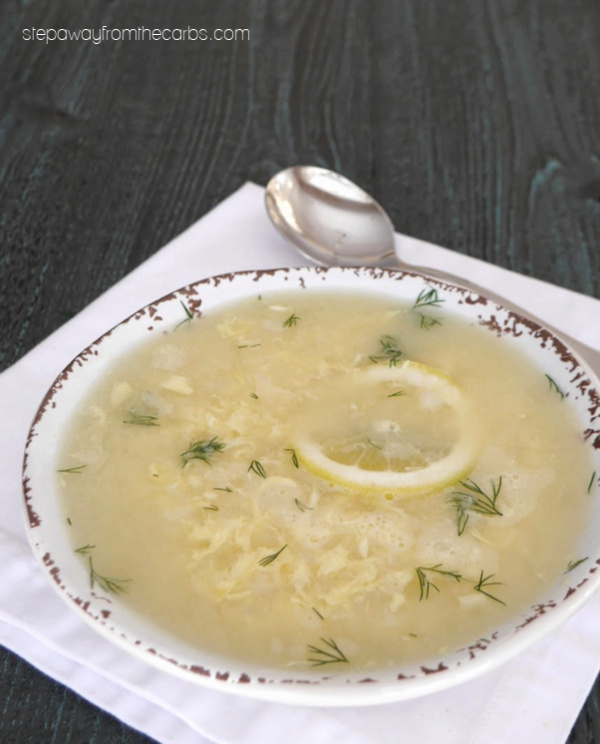 This is such a wonderful fresh-tasting soup – the fresh lemon juice is definitely the star! Add some chicken broth to a large saucepan and add some chopped onion. Bring to the boil and simmer for 5 minutes. Crack two eggs into a small bowl or cup and beat to mix. Take a large spoonful of the warm broth and add it to the eggs (tempering them). Quickly stir the broth into the eggs, then pour the mixture back into the saucepan of broth.